Just a few hours left of 2014. As much as I hate to say this, I'm glad it's over. This was a really difficult year for me, in many aspects of my life, and I didn't handle it so well: Sarah died, Mark died, I had to have Paolo euthanized, I battled bad depression and anxiety, I gained 20 pounds, and my running pace slowed back to what it was in 2010. BUT, today, I am putting all of that past me, and focusing on the good things that happened in 2014. And there were a lot of good things! At first, I thought, "How am I going to come up with 14 "top" things for 2014? I don't think I could come up with even 5..." But once I started going through pictures of the year, I realized that I had been so focused on the bad things that I hadn't truly appreciated the good things. Before I knew it, I had over 20 things on my list! I spent some time narrowing it down to the top 14. 1. Spending the last five months of Mark's life trying to make him as happy as possible. I was devastated that Mark wouldn't live long, and I did everything in my power to try to make him happy during the last few months of his life. 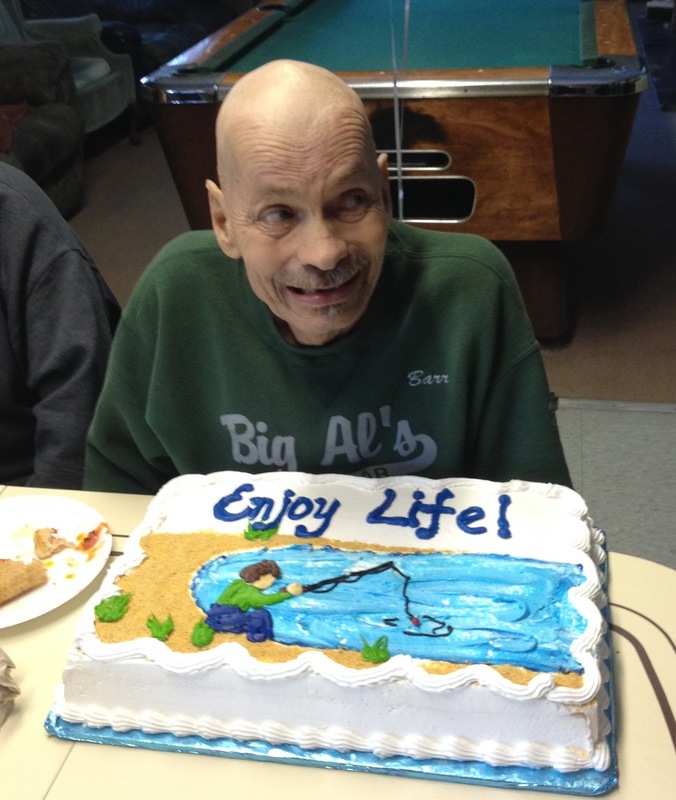 The very best moment was when he got to go home to his group home and throw a party for the residents--complete with pizza and cake--which was his last wish. I don't think I've ever seen anyone so determined as Mark was to make it home before he passed away. 2. I was in RUNNER'S WORLD MAGAZINE. Need I say more? It's mind-blowing to me that in 2009, I was 253 pounds, miserably unhappy, and couldn't even bend over and tie my own shoes without holding my breath. 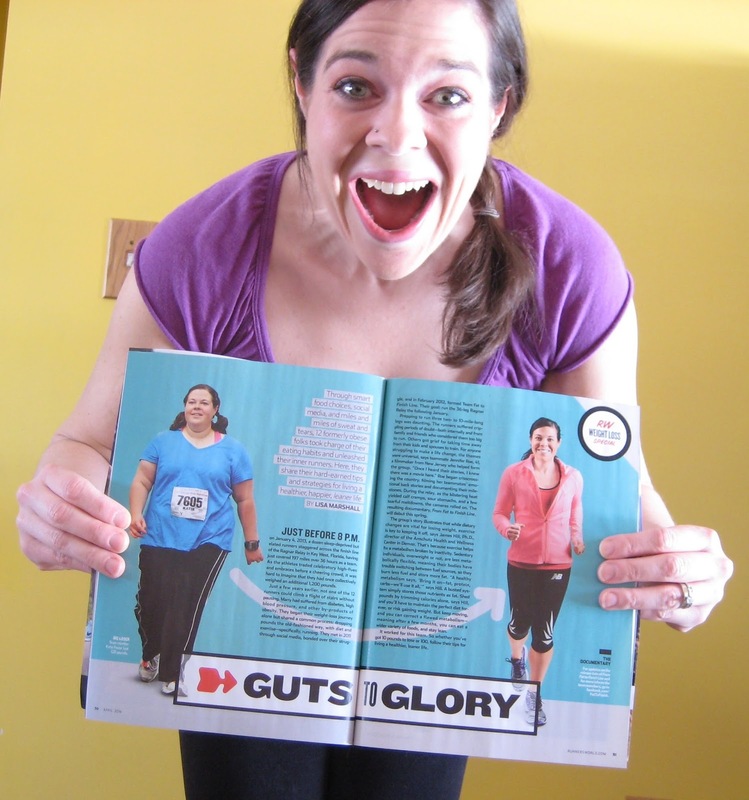 Then in 2014, I was featured in Runner's World magazine?! Ever since I started running, RW has been my favorite magazine, and I couldn't even believe it when I was asked to be a part of it. That led to some other great opportunities as well. As cliche as it sounds, sometimes I feel like I'm dreaming! 3. Pacing my friend Audrey for her first half-marathon. She was nervous about it, and it was so fun to be there to see her accomplish such a big goal! 4. 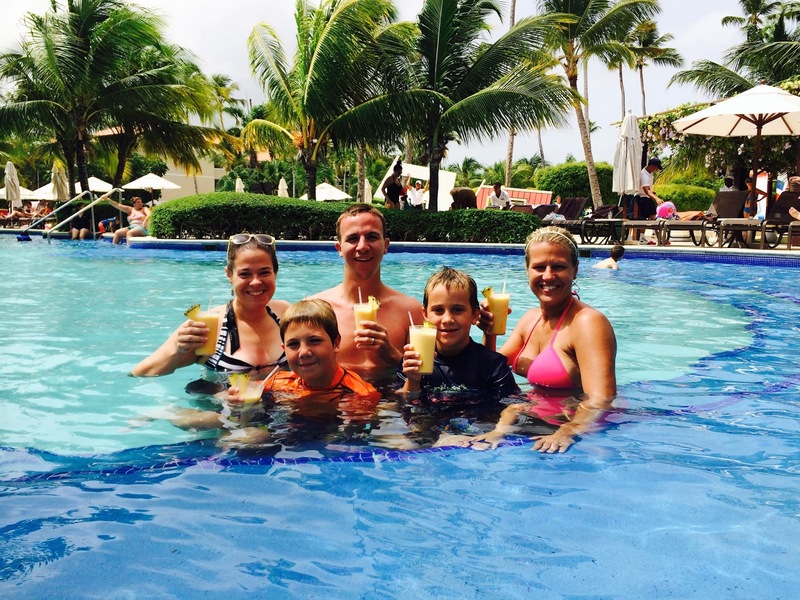 Vacation in Punta Cana with Jerry, the kids, and my sister. When my sister asked if she could tag along on our family vacation, I was excited that she wanted to. She planned everything out for us, which took a ton of stress off, and having her there to help out with the kids so Jerry and I could have time to ourselves was awesome, too. The five of us had a blast sipping drinks by the pool all day for an entire week ;) AND, I wore a bikini for the first time in my life! 5. 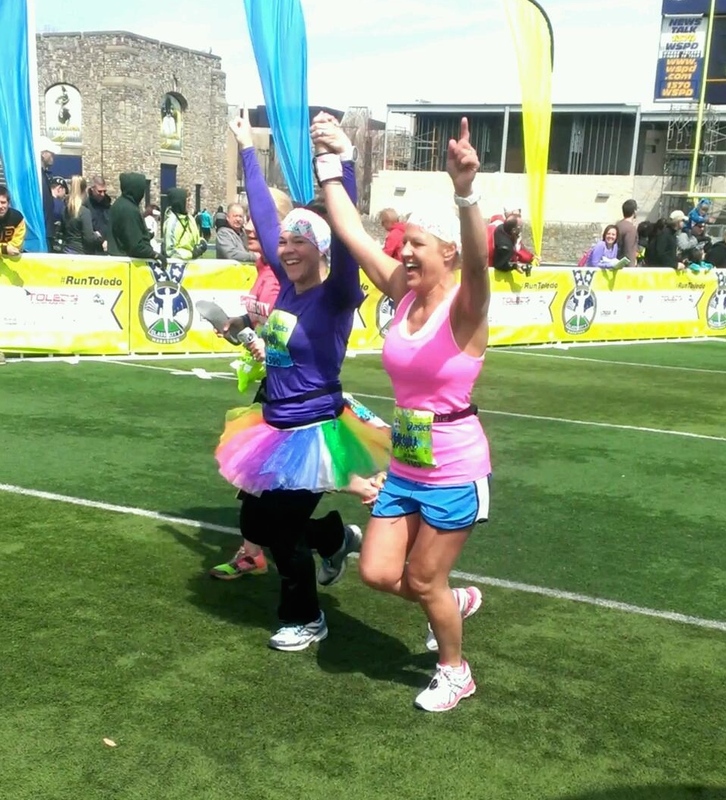 Crossing the finish line of my sister's first marathon with her. Just like I never imagined I'd be a runner one day, Jeanie certainly never imagined she'd run 26.2 miles someday, either. She trained really hard for it, and I loved seeing her progress. It was an honor to run the last leg of the marathon with her (I was on a relay team). And I can't even describe how proud I was to see her finish! 6. Getting much closer with my younger brother, Nathan, this year. I've mentioned before about his PTSD, and how I've always worried about him; but this year, he started taking charge of his health and fitness, which gave us something in common. We started running together about once a week in the spring/summer, and I loved spending that time with him! It's been amazing to see the difference that running has had in his life. 7. 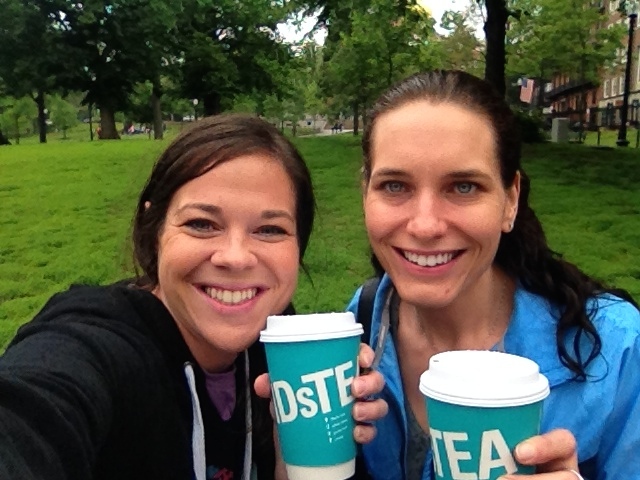 Walking around Boston with my friend, Caitlin. I'm grateful to have met Caitlin through my blog, and when I was going to be in Boston for a Runner's World event, it was awesome to be able to spend some time with her! She picked me up from the airport, and we went downtown to walk around. Even though it was raining, it was a lot of fun! 8. Meeting "the mayor of running", Bart Yasso! Despite the fact that I was totally nervous, Bart was SO kind and chatted with me like we were old friends. He signed "my" issue of Runner's World, and I listened to his presentation "My Life on the Run", which was fascinating. If you ever see Bart at a race, make sure you say hello to him! 9. 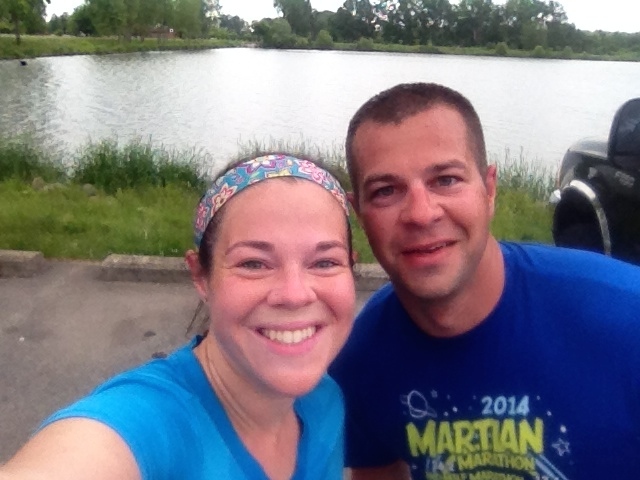 Taking an impromptu road trip with Jerry to Lake Cadillac, Michigan, and run a 10K. Not only did we run it, but we each won first place in our age groups! (Granted, we were the only ones in our age groups...) The trip was a blast, and we went wine tasting afterward in Traverse City. It was really fun to do something so spontaneous with just the two of us. 11. Meeting up with my "Sole Mates" for the Ragnar SoCal in April! These are all people I met through my blog, and we spent quite a bit of time chatting on Facebook before the big event. I wasn't sure how we'd all get along in person, but it was even better than I imagined! I made some life-long friends from this adventure, and I couldn't have asked for more! 12. 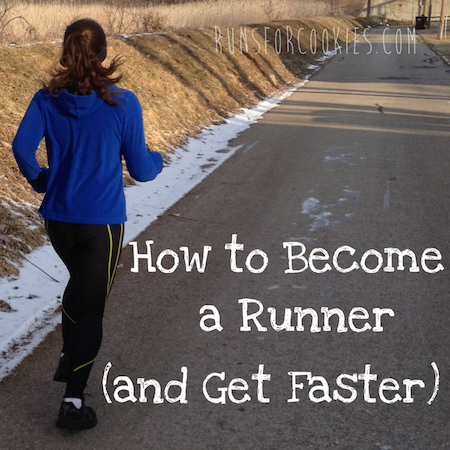 Being invited to the Runner's World Half (and Heartbreak Hill Half). 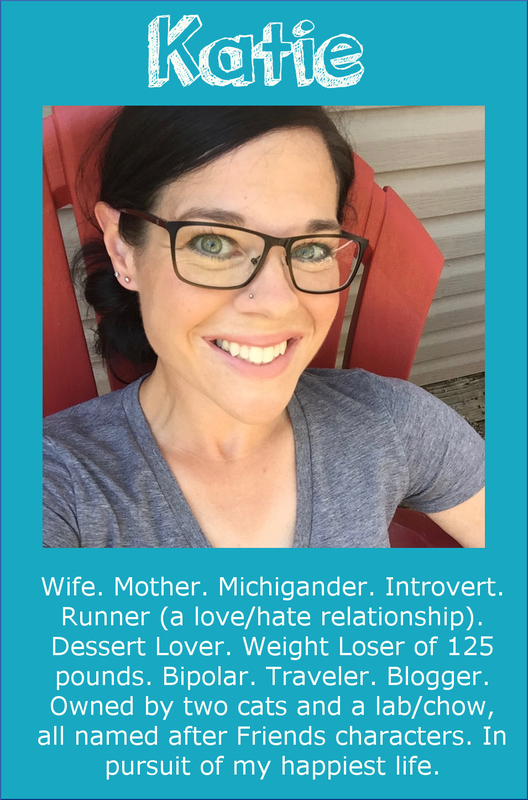 When I first started blogging, I never dreamed it would open up such opportunities; but this year, Runner's World magazine invited me to their race events as a guest--how many people get to say that?! I am so humbled and honored to have been a part of it. I learned some amazing things and met some fantastic people. 13. Getting to cheer on my little brother, Nathan, as he ran his first full marathon! "Team Nathan" ran around Detroit to cheer him on at several different points along the route. We were all so very proud of him! Afterward, we all met up at a local pizza place to celebrate. 14. Going to Brian and Becky's wedding in Minnesota (Brian is my older brother). 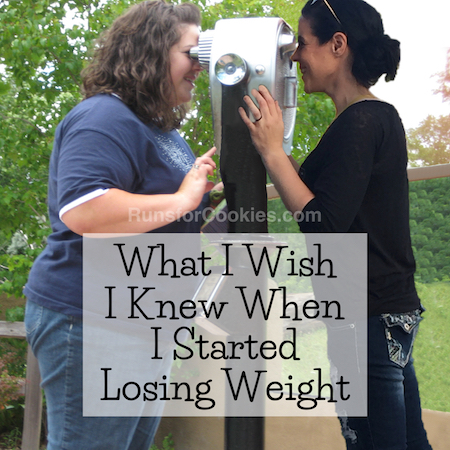 The timing was rough for my family, and we almost weren't able to go (it was the weekend after Punta Cana, and just a few days after my kids started school). I'm so glad that we went, though! It was a very intimate ceremony (the picture below shows everyone in attendance at the ceremony--just immediate family). And the reception, at Becky's parents' house, was so much fun! I ran 1,151.86 miles (down from 1,558.5 miles in 2013)--a total of 188 hours, 31 minutes, and 52 seconds. If I was to run 24 hours a day straight through, it would take nearly EIGHT DAYS. My longest run was 14 miles. The month that I had the highest mileage was March, with 138.3 miles. My average pace for the whole year was 9:51/mi (up from 9:06/mi in 2013). I burned 108,690 calories from running... that's equivalent to over 31 pounds of fat (or 1,358 chocolate chip cookies)! I completed 20 races: nine 5K's, four 10K's, one 8K, four half-marathons, one Ragnar, and one marathon relay. My current favorite breakfast is sourdough toast with coconut oil, and a piece of fruit. My current favorite lunch is tuna salad on Dill Triscuits and fruit. My current favorite evening snack is a glass of wine and a Weight Watchers peanut butter brownie. The thing I am most looking forward to in 2015? Visiting Portland in March! (Closely followed by going to Indy for the 500 Festival Mini Marathon in May). 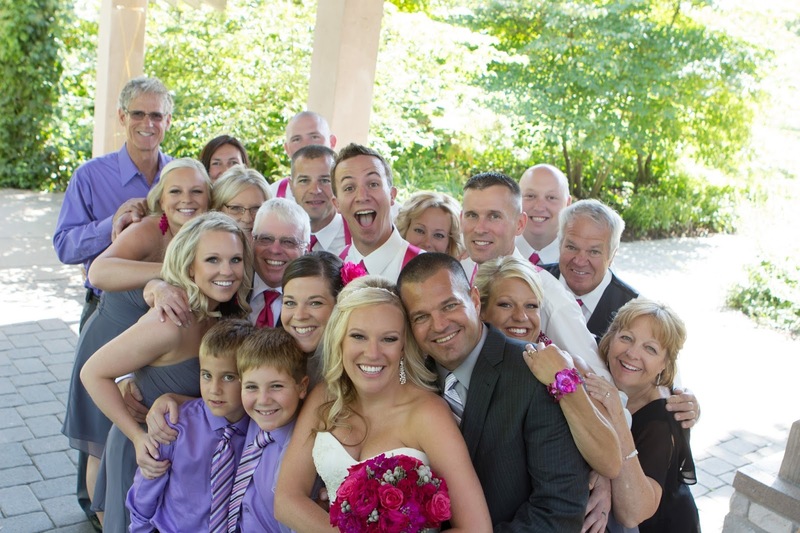 Ok first, I love the Jerry face in the middle of the wedding photo. Classic. It made me laugh. Have an amazing 2015! I can't wait to see what this year brings for all of us! Good luck for 2015. As a long term reader, who has only commented once before, I am sure that you will have a great year next year. You are an inspiration. Hey Katie! My favorite is the first one. When I read this and saw the message on Mark's cake, I made it my New Year's resolution for 2015: Enjoy Life! It's so easy for me to get caught up in the bad things that happen, and I hereby resolve to have a glass-half-full outlook this year. Thanks for sharing with us and being such an inspiration. All the best to you and your family in 2015! 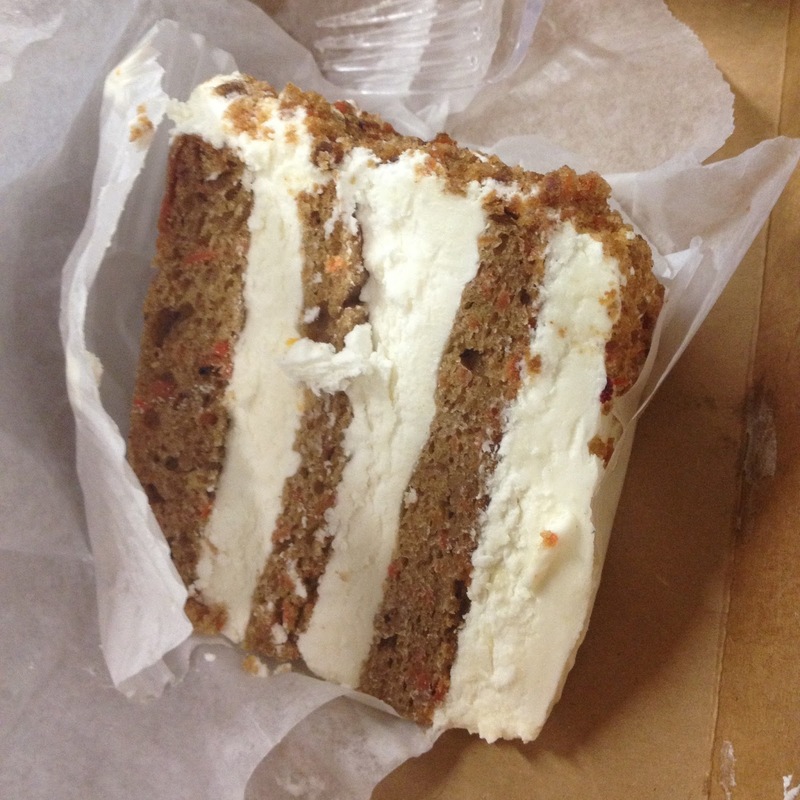 Carrot cake is a vegetable! :) As sucky as 2014 was losing my dad, I also have an overall sense of happiness and I can trace a lot of that back to you, actually. 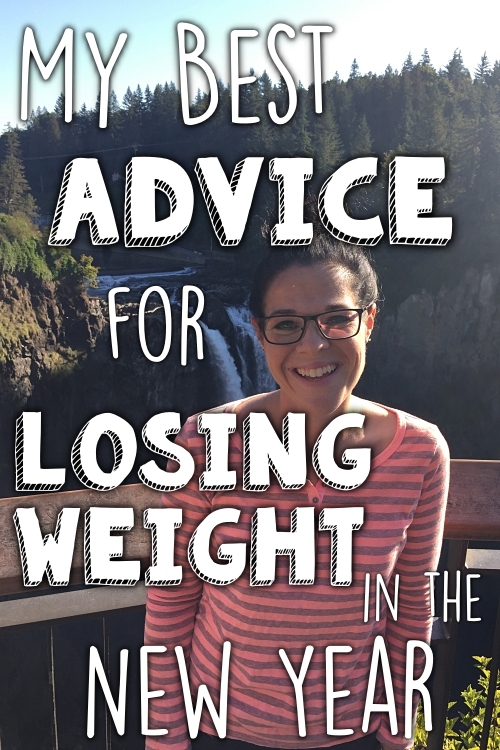 Because I found your blog, I discovered a new lifeline of fun and friends through running that has trickled down into most aspects of my life. 2015 will rock and I can't wait to celebrate the halfway point with you in Indy! Cheers! Happy New Year, Katie! Thanks for your wonderful blog and the reminder that even in our worst years there are some amazing days. My word for the year is Reset. 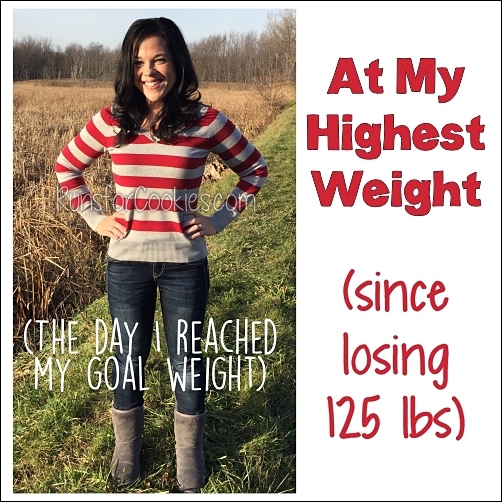 Back to goal weight, moving on from hurts of 2014, and excited for what 2015 holds! Whatever it is inside of you that is telling you to be depressed is flat out lying to you. You have a wonderful life! Like you, 2014 was a difficult one for me...I'm glad it's over and we can both move in to a positive 2015. Although I never met Mark, in my darkest hours he has often been my light. I often remember what you reported to us when he received a care package or card from a reader ..."that's so nice !" In his memory, I made it my goal to find at least 1 "that's so nice !" event everyday. Sometimes..it was a bird singing, or someone holding a door open for me, the laughter of a child, etc... it was wonderful light that helped to brighten the darkness... I'll carry it with me 2015. Yes, 2014 was sucky for many, many people. I'm one of them! But finding your blog, and making it a daily date, has been truly wonderful. Wishing you a wonderful 2015 with much love and joy and success -- and everyone who reads here with me! I love your blog! Very inspirational! 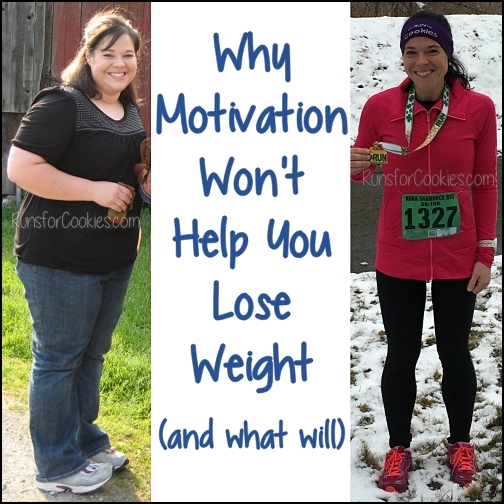 I used running to lose weight about 3 years ago, but life happened and I gained about 20 pounds. 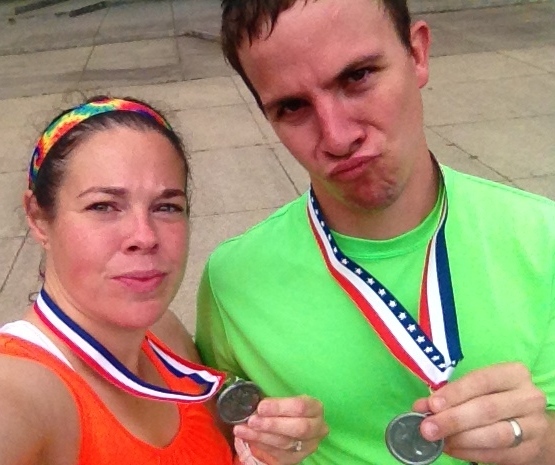 Also, I ran the worst half marathon ever. So....I am putting that all behind me by getting back on the weight loss train as well as training PROPERLY for my half on 3/22 (I did not train well at all for this last one...and it showed. We can do this!